Join us for an evening of healing at every level. Become immersed in the melodic notes of Emily & Andy, Sound Healers and Reiki Masters. They will bring a shamanic-influenced soundscape of Angelic tones, gongs, crystal and Tibetan singing bowls, flute, chimes, voice, drum and harmonium. As these magical, healing sounds move through you, Marianne and Evon, Reiki Masters, will provide hands on Energy Healing. The Reiki Energy Healing creates a sense of relaxation by dissolving patterns of stress, worry and anxiety. 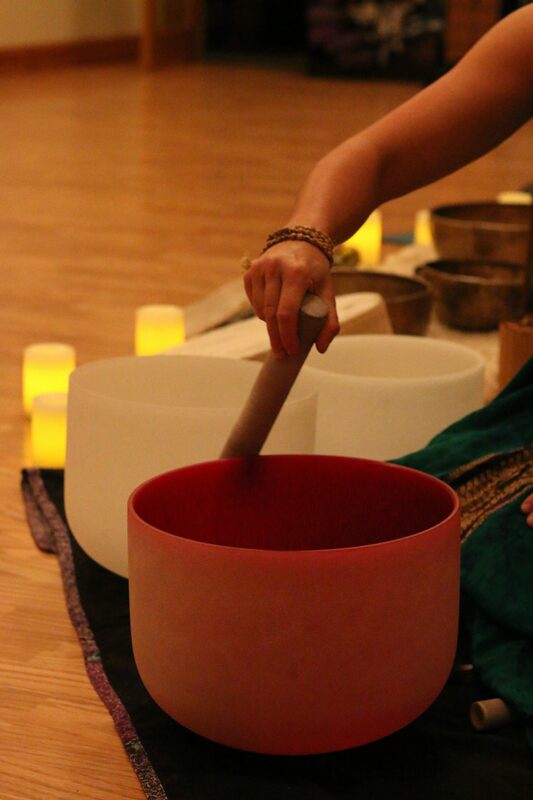 Tibetan Singing bowls, gongs & Reiki effortlessly will take you to a divine inner place of acceptance, balance and peace. Bring your favorite blanket and or pillow for your own comfort. We do have a limited supply of extra blankets and pillows if you forget. Why I offer and do New Moon, Full Moon, Solstices and other Ritual events.